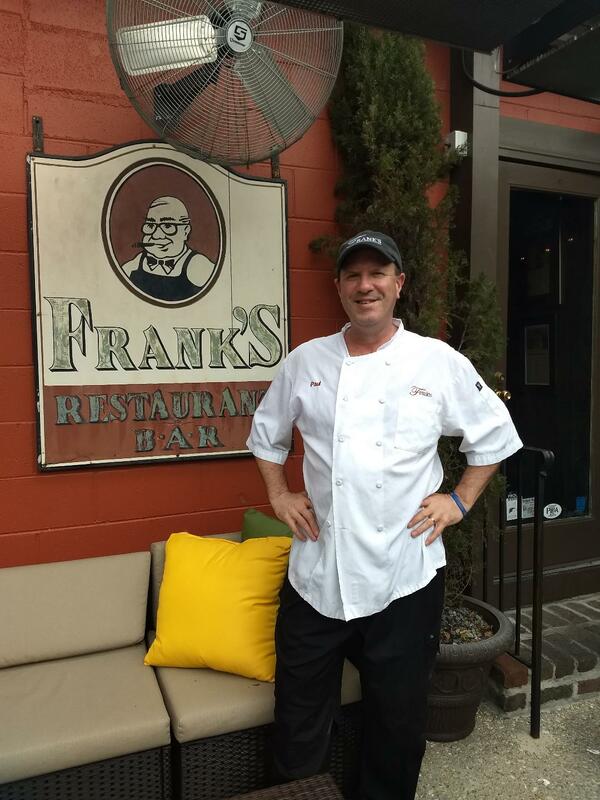 Spend a casual, relaxing evening with Chef Paul Delatte from Frank's Restaurant as he shares how to prepare one of his signature dishes. Nothing brings a community together like cooking. Whether you're watching, preparing, or enjoying the delicious end result, cooking is something that's done best with friends. Enjoy old and new friends in a fun, relaxed setting, learning how to create dishes from top local chefs at The Cypress Room at Get Carried Away. We'll also be pouring a delicious selection of wines from Pawleys Wine & Spirits. Come to the event in clothing you'd wear to cook at home. We're all friends here! The best part…when you attend Cooking with Friends you are helping to support Friendship Place and programs developed to address food insecurity issues in our community. The April "Cooking with Friends" will feature the talents of Chef Paul Delatte. Paul is graduate of Johnson and Wales University. He draws his creativity from his youth in Naples, Italy and his Cajun roots. Paul has spent the last 30 years honing his skills in such restaurants as Palmetto Club in Columbia and locally at Debordieu Colony. Spend a relaxing spring evening exploring the unique cuisine created when Italy meets the bayou. The menu for the evening will include broiled oysters on the half shell with crab meat and Asiago cheese, red bean soup with a creme fraiche, grilled shrimp and romaine salad with Ceasar dressing and Parmesan crisp, and finally bread pudding with a bourbon hard sauce. We kick off at 6:00pm and should end shortly after 8:00pm. Don't miss this experience! Cooking with Friends is brought to you by Get Carried Away, Pawleys Island Wine & Spirits, Friendship Place, and Greenskeeper Florist.